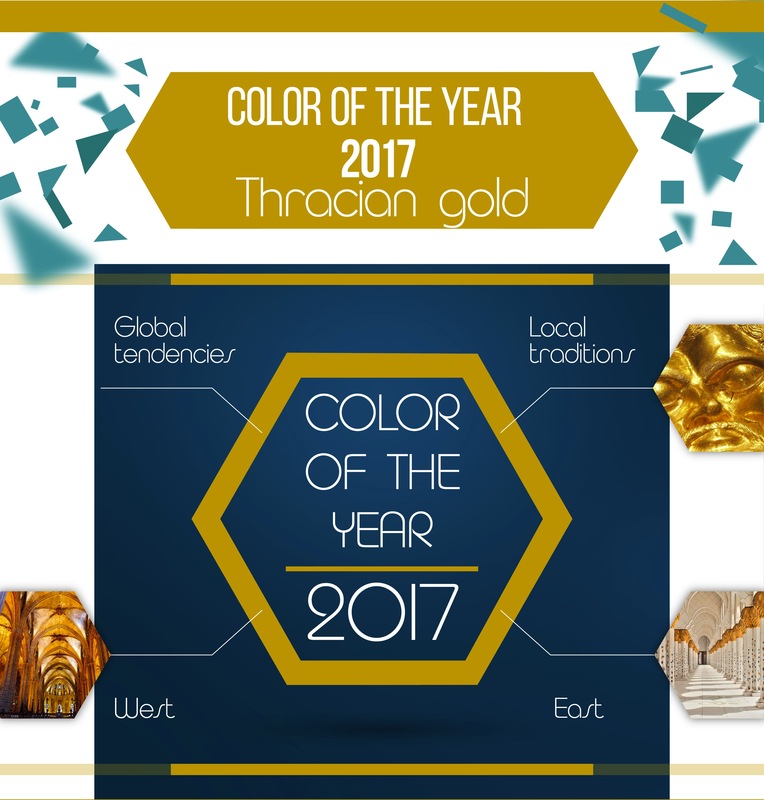 “Thracian gold” is selected by the Association of interior designers in Bulgaria and Orgachim as 2017’s “Color of the year”. 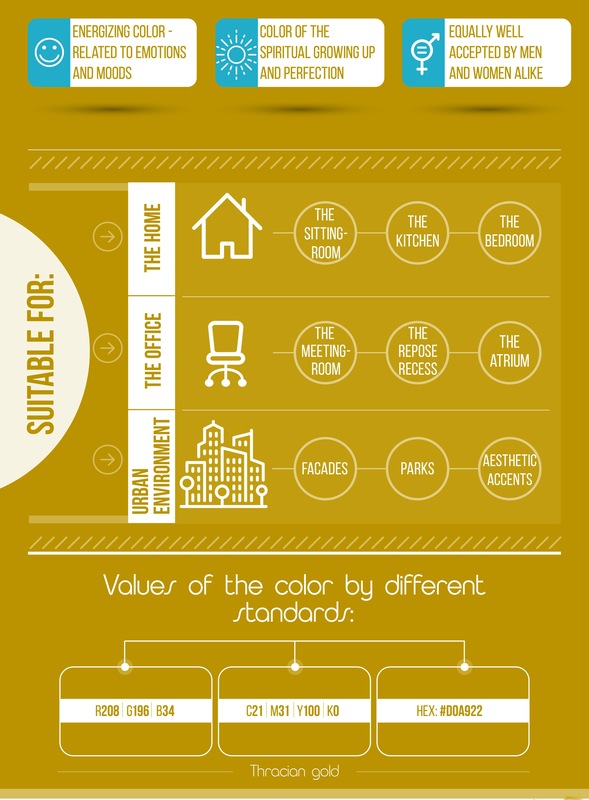 The choice was made after the experts analyzed the global tendencies in design and looked at various color and material samples. “Thracian gold” follows the current international trend for nature shades (“Greenery” being PANTONE’s choice for 2017) while incorporating the local visual tradition of Bulgaria reflected in the Panaguyrishte gold treasure. As a part of the yellow spectrum, “Thracian gold” conveys a spirit of happiness and optimism – two much needed positive outlooks on the future. The colour can be associated both with the spiritual enlightenment of the East, as well as with the highest cultural and artistic achievement of the European Renaissance and appeals equally to both women and men. 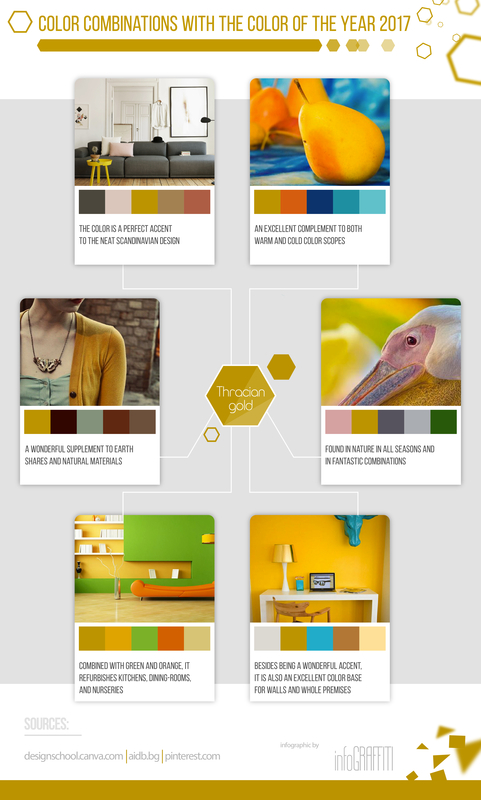 “Colour of the year” aims to harness the creativity of designers and color experts and ultimately help customers make smarter choices about the colour-combinations within their living and working spaces. For a second year the Association of interior designers and Orgachim trust Infograffiti with the visual representation and media relations for the Colour of the year. We are proudly responsible for creating the content and designing the visuals as well for their media distribution. The project received wide publicity and more than 60 publications in national, specialized lifestyle media and blogs.